Aiming at maximum level of client-satisfaction, we are offering the Corrugated Die Punching Machine which is manufactured strictly as per the specifications of our clients. 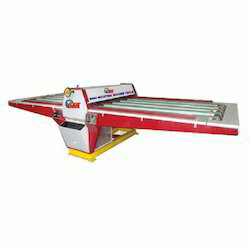 These machines are highly reliable for longer service life and gives and excellent performance. We tested these machines with the help of our diligent quality auditors in order to ensure their flawlessness and greater operational efficiency. Aiming at utmost client satisfaction, we are offering heavy duty die punching embossing & creasing machine to the clients. We are a quality-centric organization and thus, fabricated this machine using ultra-grade raw material with assistance of our highly adroit professionals. It is qualitative as per the international norm and assured to give an excellent performance. 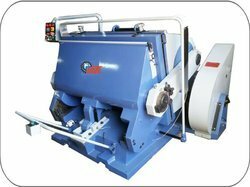 For its excellent functionality, it is widely installed in various industries for punching card boards, corrugated boards and papers. 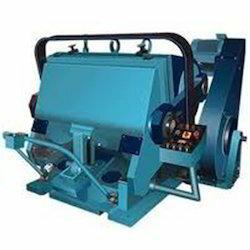 With assurance of optimum client-satisfaction, we are offering corrugated die punching machine to our clients. To ensure its quality as per the international norms, it is fabricated with top-grade components and tested on various parameters. Owing to its quality, high reliability for longer service life and easy operations, this machine has become highly demanded in the market. It is highly reliable for a longer service life and proves to be efficient for punching card boards, papers and corrugated boards. Suitable for punching boards, card boards, corrugated, boards. The machine is fitted with timer control on both sides for handling complicated jobs. 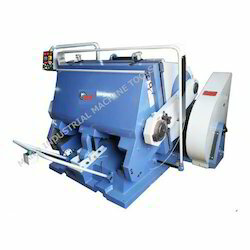 Suitable for punching papers, card boards, corrugated boards, the machine is fitted with the electromagnetic clutch, timer control, oil lubrication system, counter, motor, and feeding &delivery table and with all standard accessories. 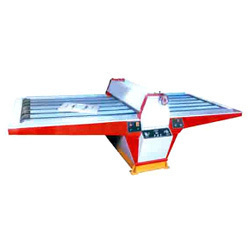 We are counted amongst the leading organizations involved in manufacturing, supplying and exporting of quality-assured Flat Bed Punching Machine. Under the supervision of our diligent professionals, we fabricated this machined with ultra-grade components which are procured from the leading vendors. 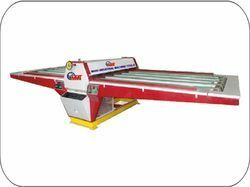 This machine is widely used for punching various types of boards like card boards and corrugated boards. To ensure its flawlessness and quality as per the international norms, it is tested on different parameters by our professionals.